I may retake these pictures as the colors were really washed out by the flash. I heard someone mention a "natural light" lamp that they use for youtube video-making, so I may look into something like that. Even though I finished these cards yesterday, I didn't take pictures until long after the sun went down. 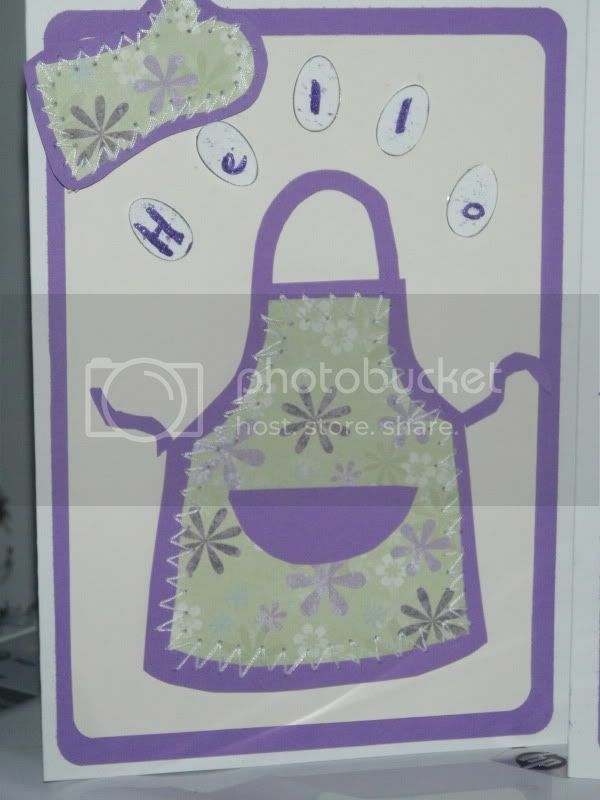 This card is adapted from a template found in Papercraft Inspirations Issue 69 (January 2010) with a download here of the apron. 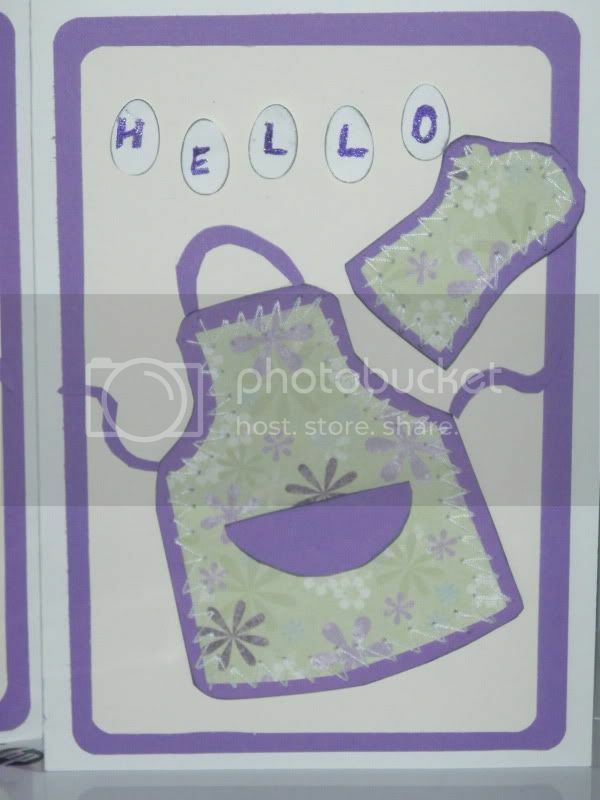 The egg-shaped letters were punched using a sizzix die. I did the stitching by hand, although the mag contemplates use of a sewing machine. 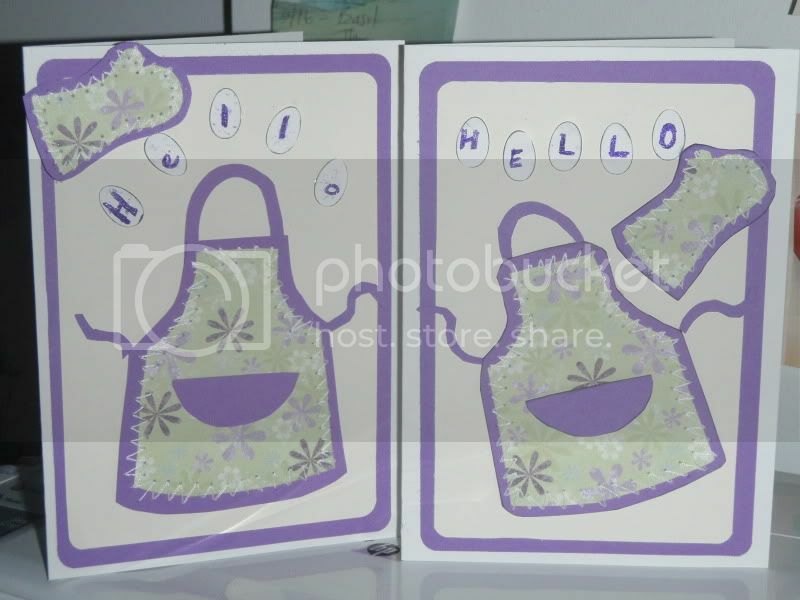 One card is more three-dimensional as I used thicker foam tape more liberally than on the other.